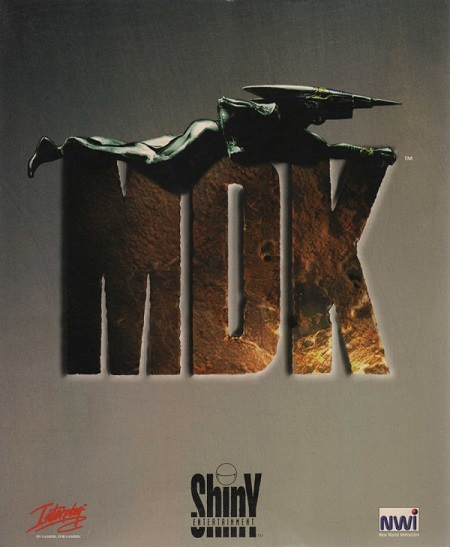 MDK is a 1997 cult classic, third-person shooter by Shiny Entertainment, the creators of Earthworm Jim. The game shares its predecessor's bizarre sense of humor, adding a whimsical goofiness to what is today the tired genre of Sci-Fi shooters. Despite it or its sequel never being hot sellers, they are still beloved and respected by many to this day. As evidenced by JigglyJacob jumping onto our channel to share it with us. The story of the game begins in 1996 when inventor/scientist Dr. Fluke Hawkins believes he has made a revolutionary discovery; an outer space phenomenon he calls "Flange Orbits". However, when he approaches the scientific community with his discovery, he is ridiculed. Determined to prove his colleagues wrong, Hawkins builds a space station, the Jim Dandy, and bribes aboard his laboratory janitor, Kurt Hectic, by means of Hungarian goulash. He then launches the station into orbit, projecting that the mission will last five days. However, after a week, Hawkins realizes Flange Orbits do not actually exist, but rather than return to Earth in shame, he decides to remain on the Dandy to try to discover something, anticipating another week in space. Kurt is extremely unhappy with this development, but once Hawkins shows him how to program the VCR, he calms down. A year later, having made no discoveries, Hawkins begins work building a genetically engineered robotic dog, which he plans to call "Bones". After a year, Bones is fully operational, although both Bones and Kurt prefer the name Max. Despite having four arms and two legs, and being full of energy, Max proves more than a little reluctant to help Hawkins with the chores on the Dandy, proving more interested in tending to his vegetable garden. Another year passes without Hawkins making a breakthrough until he notices streams of energy moving through the Solar System towards Earth. He sends a warning down to Earth (along with some of Max's oranges), but is ignored. Upon reaching Earth, the streams disgorge gigantic "Minecrawlers", city-sized vehicles designed to strip mine the natural resources from a planet, crushing anything in their path. The aliens, known as "Streamriders", and under the command of Gunter Gluth, easily demolish Earth's military forces, and so Hawkins decides to take action to save the planet. Hawkins reasons the only way to fight the aliens is with his newly invented "Coil Suit", but due to his advancing years and Max's extra pair of legs, Kurt is the only one who can wear it, and, thus becomes the very reluctant hero. As such, Kurt is dispatched on "Mission: Deliver Kindness", entering the Minecrawlers from above, and destroying them from the inside-out. This LP is played and hosted by our longtime friend JigglyJacob, with myself, Highwang, and starting in part 3 BigTUnit1 as his co-commentators.